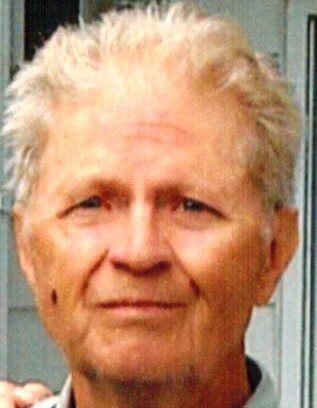 Nicholas Kovalevsky, 81, of Tiffin, passed away on Monday morning, January 14, 2019 at St. Francis Home. He was born in the Ukraine on May 8, 1937 to Alexander and Maria (Rutcha) Kovalevsky. The family immigrated to the United States in 1949 and settled in Perth Amboy, New Jersey. Survivors include his wife, Ann E. Gilsdorf Kovalevsky of Tiffin; son, Nikjon Kovalevsky of Las Vegas, NV; daughter, Karen Kovalevsky of Wickenburg, AZ; stepson, Karl R. (Mary) Bame, II of Port Clinton; grandchildren, David Skylen McAfee and Brianna Paige McAfee, both of Tarentum, PA; son-in-law, David McAfee of Tarentum, PA; brother, John (Dorothy) Kovalevsky of Egg Harbor, NJ; and uncle, Ivan (Hazel) Collins of Las Vegas, NV. He was preceded in death by his first wife, Joyce Isabelle (Watson) Kovalevsky; and stepdaughter, Catherine Alice Bame. 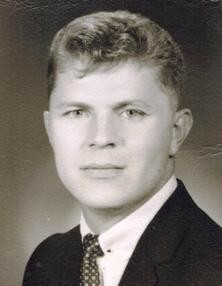 Nick graduated in 1961 from Heidelberg College (now Heidelberg University) with a BS in mathematics and physics and graduate studies in applied math at Western Reserve (now Case Western). He retired from Lockheed Missiles & Space Co., Inc. as a software engineer working closely with NASA. Early on, he was based mostly in Houston, but then traveled all over the United States for the company. A Memorial Service will be at 11:00 A.M. on Saturday, April 13, 2019 at Hoffmann-Gottfried-Mack Funeral Home & Crematory, 236 S. Washington St., Tiffin, Ohio 44883, (419) 447-2424 with Father Nicholas Gobora officiating. A luncheon will follow at Camden Falls. Friends may visit with the family from 10:00 A.M. until the time of the Service on Saturday at the funeral home. A private burial will be held at St. Andrew Ukrainian Orthodox Cemetery in South Bound Brook, NJ. In lieu of flowers, memorial contributions may be made to St. Francis Home. The family would like to thank the staff at Tiffin Mercy Hospital, St. Francis Home and Hoffmann-Gottfried-Mack Funeral Home.